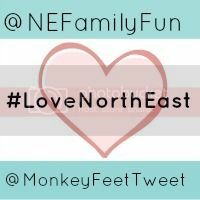 *If you are a North East Blogger or have blogged about the North East, you can link up to two posts below. *Add our blogger badge (it's no follow btw) to the bottom of your post HTML or include a link in the text back to this post to let others know about the linky. *Comment on a host post plus a couple of others in the link up.